I'd like to take this opportunity to share my work with you. 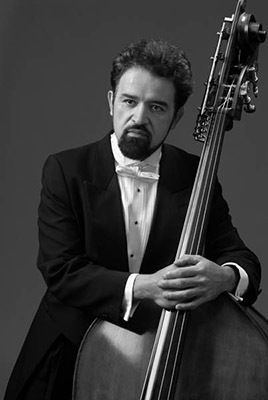 As both a professional orchestral musician and a master double bass maker, I individually hand craft the highest quality double basses. I custom design basses for all needs, working with each customer on the design, materials, artwork, and price. Made in the Old Italian Master Tradition, Solano Basses are in the hands of professionals and students alike, from classical to jazz, throughout the United States, and worldwide, including Canada, Germany, Australia, and Denmark. These wonderful instruments have a beautiful sound, are hand-crafted of the finest materials, and are easy to play, with the typical "new instrument" kinks and handicaps eliminated before I ship each instrument to the customer. My personal goal: put a professional quality instrument in the hands of every bass player who wants one, at an affordable price. If you are a serious buyer looking for a bass, please don't hesitate to contact me. © 2019 Solano Basses. All rights reserved.